Everest High Pass Trek is well known trek in Everest Region which is well known for its world’s glorious and highest mountain Mount Everest . 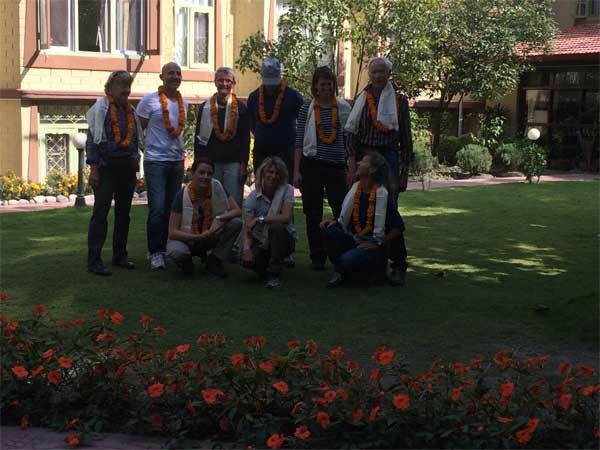 This region is also a piece of heaven on Earth for the trekkers and it has four of world’s 14 highest peaks i.e, Everest, Lhotse, Kanchanjunga, Cho-Oyu, Makalu and other mountains. The region is one of the most popular trekking area though slightly more difficult to get to. This is also the home of famous Sherpa people (well known for their climbing stamina and courage). 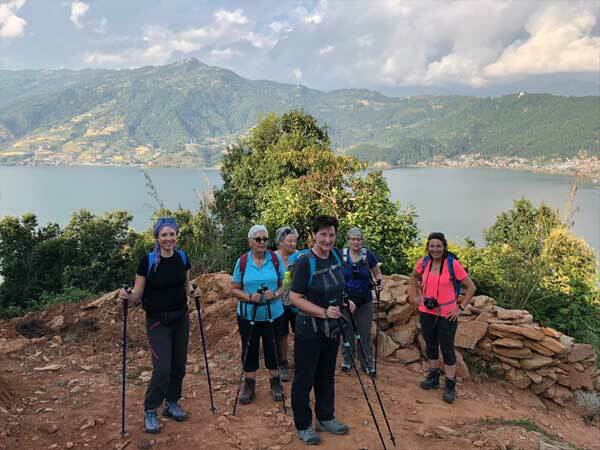 To get this wonderful place, one can fly to Lukla from Kathmandu or get bus to Jiri, the second choice is for those who want to do a classic trek and best way to acclimatize as well. Gokyo and the Everest Base Camp (EBC) are the two trekking routes where many people like to go. Bar bills (Beer, coke, mineral water), donation, personal clothings, personal insurance, rescue charge, any unforeseen expenses, Tips and Donation etc. Trek starts in the morning after breakfast. The walk today is pleasant with few short uphill and downhill with multiple crossings over Dudh Koshi River and magnificent view of Mt. Thamserku (6,608 m/21,675 ft) from the Benkar village. Cross some more bridges and reach the entrance of Sagarmatha National Park at Monjo, where our trekking permits are checked in order to keep record of trekkers and local trekking staffs as well. A descend and a gradual walk brings us to Jorsale, the last village until Namche Bazaar. The walk is enjoyable through the river bed and we reach Hillary Suspension Bridge. Now, as we climb up hill towards Namche Bazzar, closer and magnificent sight of Kwangde Peak, its sister peaks, Kusum Kangaru, Mt. Everest, Lhotse, Tawache, and many other fabulous mountains are viewed closer, we stop at the Chautara here to admire the view. Finally, we reach the colourful village of Namche Bazzar, the main gateway of Khumbu region. Thame has a sprawling village with a few lodges and stunning mountains like Thamserku, Kantenga, Kusum Kangguru, etc. Climb up through rhododendron forest to pasture lands in front of village of Thame. The secluded village is the birthplace of Tenzing Norgay, who first climbed Mt. Everest with Sir Edmund Hillary. Overlooking Thame is its famous Gompa situated amidst some fields on a hill to the west. Gokyo village stands by the third lake and Cho-Oyu Mountain in the backdrop sets an amazing spectacular sight here. After lunch, we explore around the third Lake, Dudh Pokhari. We spend night in a teahouse with comfortable bedrooms. The trail to Gorak Shep goes ahead through the lateral moraine of the Khumbu Glacier. We pass through the pyramid sign post. Ahead on the trail we see crest of north ridge of Everest along with Mt. Pumori, Mt. Lingtern, Mt. Khumbutse, Mt. Nuptse, etc. we catch our first glimpse of Kala Patthar, a grey-green knoll beneath the Mt. Pumori. As we reach Gorak Shep, we will find snow-capped mountains looming all around us including the top of the world – Mt. Everest. After a brief lunch and rest, we take the trail to Everest Base Camp through the once vast Gorak Shep Lake. Continuing straight ahead, Only upon reaching the Everest Base Camp do we really appreciate the Everest climbers who brave the hazardous route through the Khumbu icefall. Mountaineer’s tents stand out in bright colors against the monotony of gray surroundings (especially in the Spring). Nuptse, Khumbuste and Pumori are the mountains we can view from the base camp. Today we start early in the morning to catch the dramatic views from Kala Patthar witnessing the first light of day shining on Mt. Everest. However, we need to get prepared for an early morning, dark and cold temperature (-10 to -14 C) departure beforehand. Further, there is always the potential of chilly winds which are quite common. Familiar peaks such as Lingtren, Khumbutse, Changtse tower to the east even as Everest begins to reveal itself emerging between the west shoulder crest and Nuptse. During the ascent to Kala Patthar we can pause to catch our breath at several outstanding view points to snap pictures. After several hours of ascent, we will be Kala Patthar. From this juncture, we scramble to climb the rocky outcrop near to the summit marked by cairns and prayer flags. As we reach the top, We take as many pictures as we can. This trip would require about four to five hours of descent, and would take you to Namche Bazaar, with access to a multitude of guest houses and lodges, telecommunications, internet and various leisure and traditional Tibetan and modern western medical facilities. We keep a lookout for wild life such as mountain goats, snow leopards, colorful pheasants, etc., while we pass through the forest by the trail. After passing a Chorten, we reach the army camp at of Namche Bazaar. We want to take a long last look (and picture!) back to Lhotse, the tip of Everest and Tengboche from here. After breakfast the trail descends steeply downward so we need to walk slowly and under control as our shaky legs continuously battle the rocky terrain. After crossing the suspension bridges over the fast flowing Dudh Koshi and its tributaries the trail becomes more level and natural. By today we start to get warmed up by the light breeze. Any remaining sore throats and colds will be gone by today as we pass through this charming mountain air. Although we are travelling the same route down, we feel completely different views. We snap a mixture of open plains, rhododendron and pine forests, and in the distance snow covered peaks. We walk through the Sherpa villages’ noticing impressive faith in Buddhism and culture of prayer stones or Mani stones and prayers flag while we walk through the villages.